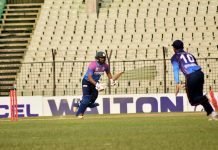 Abahani Limited have sealed their 5th victory in the season with a dominating 6-wicket win over Mohammedan Sporting Club in the 6th round of Walton Dhaka Premier Division Cricket League 2018-19. With 10 points from 6 matches, Abahani remained at the top of the points table. Batting first Mohammedan managed to post 248 for 7 thanks to fifties from Irfan Sukkur and Raqibul Hasan at Sher-e-Bangla National Cricket Stadium. Nazmul Islam Apu and Mohammad Saifuddin shared 3 wickets each. In reply, Top order batsmen gave Abahani a solid start to ease the pressure in the chase. Jauhurul Islam was dismissed after scoring the highest 94 while his Soumya Sarkar contributed 43. 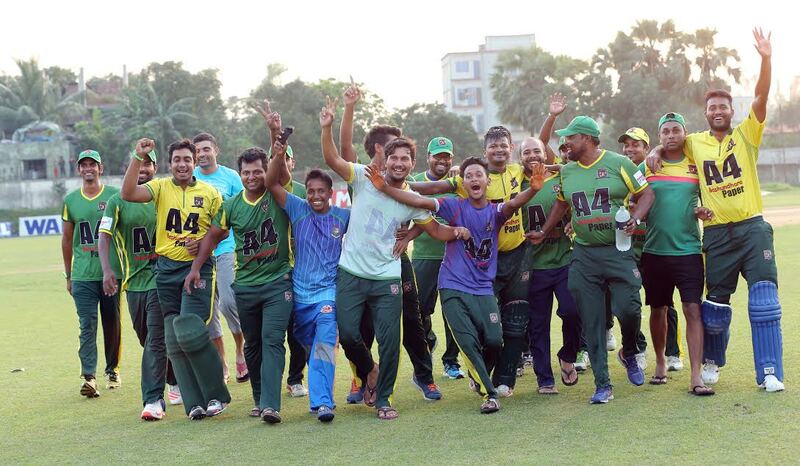 Abahani eventually won the match in 47.3 overs with 6 wickets in hand. Sabbir Rahman was unbeaten on 21 and Mosaddek Hossain was on 18. Shahadat grabbed 2 wickets for 59 for Mohammedan. Lt. Sk. Jamal Dhanmondi Club Ltd. and Legends of Rupganj won the other two matches of the day respectively. Result : Abahani Limited won by 6 wickets. Gazi Group Cricketers vs Lt. Sk. Jamal Dhanmondi Club Ltd. Result : Lt. Sk. Jamal Dhanmondi Club Ltd. won by 43 runs. Result : Legends of Rupganj won by 5 wickets.